After numerous speculations, yesterday, a report tipped that the Galaxy Note 8 might be unveiled on August 23. The device is believed to be released sometime in early September. It is obvious that two reasons have made Samsung advance the launch of their next flagship device. One is the poor sales of the Galaxy S8 and the other is to release it before the Apple iPhone 8 slated to be unveiled in September along with the rumored iPhone 7s and 7s Plus. Apple is expected to release the iPhone 8 later this year as it is rumored to face some delay in the production. Eventually, the Galaxy Note 8 will dominate the market until then. 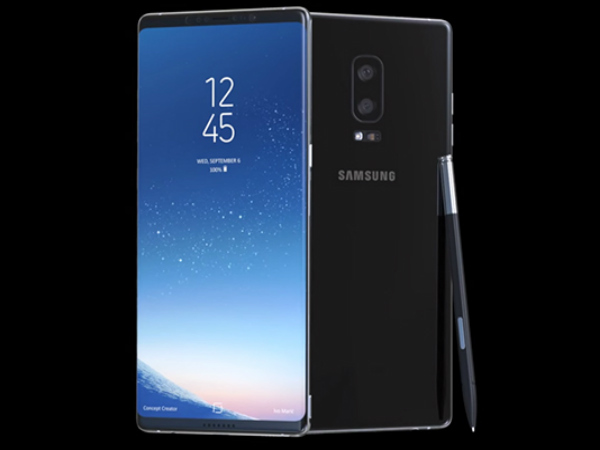 A recent report by The Bell (via TheAndroidSoul) claims that Samsung is in plans to ship nine million units of the upcoming Galaxy Note 8 soon after its initial release. From September, a set of three million units of the phablet will be produced per month for three months. Despite the recent reports that the Galaxy S8 sales are poor and not as expected, the device broke the sales record by selling over 10 million units in three weeks of its release. But the sales slowed down later, claim the media reports. Being the upcoming flagship device, the Galaxy Note 8 is likely to feature the Infinity Display sans a physical home button as seen on the Galaxy S8 and Galaxy S8+ duo. Also, the device is believed to use a Snapdragon 836 SoC under its hood, which will be an incremental variant of the existing high-end Snapdragon 835 SoC. Moreover, the Galaxy Note 8 is claimed to be the first Samsung phone to feature a dual rear camera setup.